We receive many emails asking if Bhutan is suitable for the month of November. Would it be too cold by then? And would it be suitable for trekking? At the elevation of 2,500 - 3,500 meters above sea level, Bhutan still welcome a large number of travelers all the way to Christmas and New Year. The lowest temperature was recorded usually at the end of January or early February. The mountain pass may be snowing by end of December, but the main towns usually receive snow only in January. One advantage of traveling in the month of November and December is the clear, crisp blue sky that you witness. The sky would be cloudless, and the Jumolhari range can be seen clearly. If you are in Bhutan between November and March, make it a point to visit Gangtey. Gangtey is about 3 hours’ drive from Punakha. In the month of November, Gangtey would welcome the black-necked cranes from Tibet. Gangtey is already one of the most beautiful valleys in Bhutan without the cranes. With the cranes, Gangtey is breath-taking and inspiring. Gangtey is locating at a higher altitude than Paro or Thimphu. We would advise you to wear an extra layer of clothes if you are visiting in the month of January or February. If you have about 1 week in Bhutan, you should be able to attend the Black-Necked Cranes Festival, which takes place on 11th November annually. If you have about ten days, do consider attending Nalakhang festival instead. 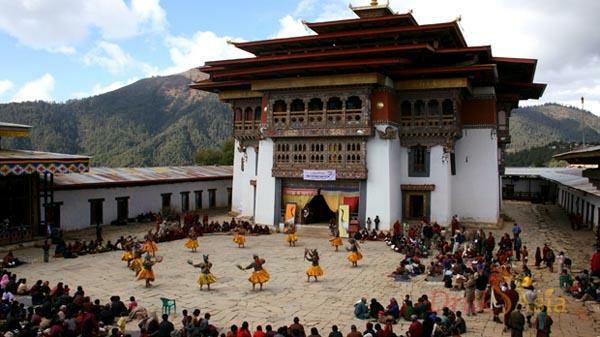 Nalakahng Festival will take place in Bhutan, which located in central Bhutan. This is much further from Paro and hence attract fewer visitors. It means that you have the opportunity a much more original festival with fewer photographers walking around the main festival ground. 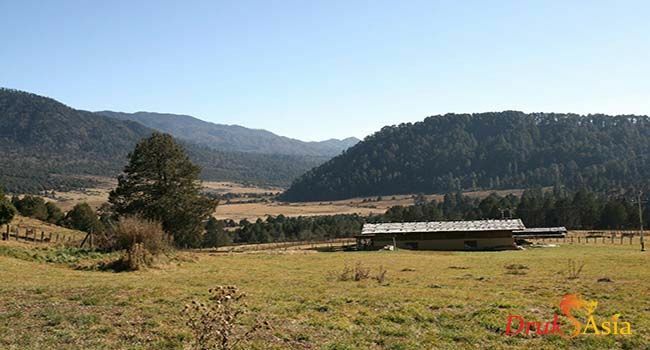 If you are into outdoor and camping, you may consider going for lower altitude trek. We do not recommend going for higher altitude trek as Jumolhari except for professional as it will get pretty cold in the night. WE can expect sub-zero temperature for high altitude trek.